With Christmas behind us we still need a little sparkle in our lives, to help us make it through the last of the winter and into the glorious spring. Released with Lancôme's Christmas collection, the Hypnôse Ultra Dazzling eyeshadows are perfect little pots of sophisticated, grown-up glitter. With a very similar texture and feel to Chanel's stunning Illusion D'Ombre mousse shadows (and just a euro in the price difference, with Lancôme's coming in a smidgeon cheaper at €27), these are really easy to work with and the perfect product for a glitzy, glamorous, one-step party eye. I was delighted to receive Eternal Emerald and Black Sapphire to try out and, while both are lovely, it's the sophisticated midnight blue that has really captured my heart. Here it is on my mug before the work Chrimbo 'do where I really packed it on and winged it out, but it's just as lovely worn as a sheer cloud of sparkly colour on the lid. Like the Chanel product the accompanying brush here is actually pretty decent and once it sets a little, the waterproof and pigment packed formula stays put for hours, without smudging or budging. Six shades are on counter now but you'd best be quick, because they're all limited edition - are they calling your name? 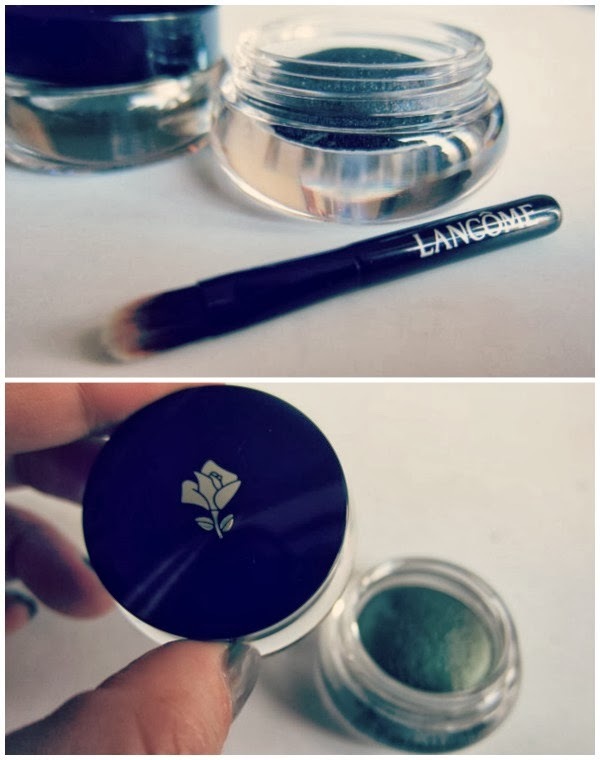 I love these babies so much, the green is honestly one of the most gorgeous shades! Happy New Year Emma! Stunning photo of you Emma. That eye shadow really suits you. Happy New Year!! :) I love the texture of these! They blend lovely & the colours are gorgeous! Razzle Dazzle Indeed Emma! That shade looks great on you. They are just so pretty! That is a gorgeous pic of you.